Pain is a universal experience to which we all can relate. Most pain is short term to warn us of potential danger. When we experience pain, we commonly feel threatened or fearful and we do something to eliminate it (such as pulling your hand away from a hot pot). For the most part, the pain response is a good thing protecting us from serious or potential harm. However, for some people, pain can persist over time. This is called persistent or chronic pain. The nervous system (which is responsible for the pain sensation) stays excited, continuing to fire out pain signals. 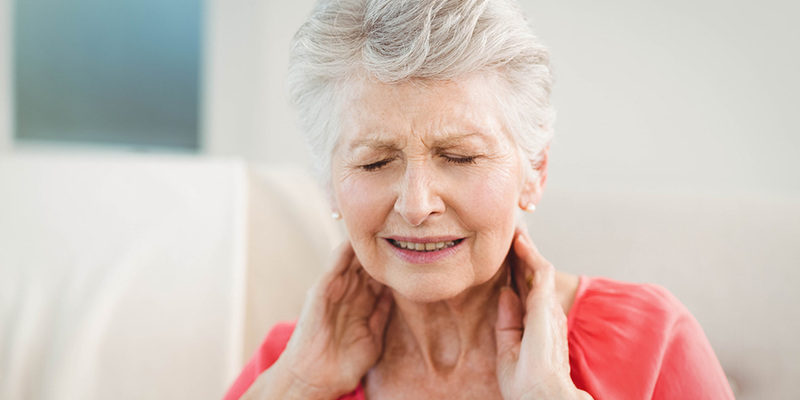 Often, with persistent or chronic pain, the nervous system will remain alert long after the danger point is past, bringing with it a heavy burden of suffering for the individual and for his or her family. The body continues to feel under attack. Pain persisting over time feeds into other symptoms, which feed back into the pain further escalating symptoms. This creates a vicious cycle of symptoms such as fatigue, lack of sleep, depression, difficult emotions (frustration and anger), muscle tension etc. The individual is left without an easy solution, suffering the brunt of fatigue and exhaustion, feeling a complete loss of control, and desperate for relief. The nervous system is quite complex, so solutions to chronic pain are also complex and often take the form of multiple approaches. This creates a challenge for the pain sufferer as no one wants to learn how to live with pain; they simply want to eliminate it. The pain cycle needs to be broken by taking action on one or more of the symptoms. For example, an effective pain management strategy could be deep, relaxed breathing. Deep breathing works by fully oxygenating the body to help ease muscle tension, inducing a relaxation response, and reducing fatigue. The relaxation from deep breathing can help manage stress and promote sleep. A simple strategy used at the right time can have a positive impact on pain management. Stress – past and present – has a major impact on the nervous system and on how the body sends and receives pain signals. Often, by learning ways to manage the stresses in our life, we can prevent stress from escalating our pain. We can also learn how our thought processes (which we have learned throughout our life) impact our nervous system and pain. Medication can be a very useful tool in pain management. It is not the sole solution, but by working with your healthcare professional, you may be able to benefit from various medication options. Medications are often not able to numb the pain completely. It takes a combination of medications directed at various symptoms to achieve optimal treatment. To avoid side effects, it’s important to start a new medication with a low dose and slowly work up. If medication is stopped too soon, it may not have a fair chance to do its job. Although chronic pain is a complex issue, small steps can help you break free from pain and its associated symptoms.